Michael Ball is, indeed, having a ball! Today it has been announced that his brand new album 'Coming Home To You' is the No.1 in the UK Album charts, beating the likes of Jack Savoretti, Tom Walker & George Ezra to the number one spot, and his first No.1 solo album in almost three decades! His latest No.1 album follows the phenomenal success of Michael’s two recent duet albums with friend Alfie Boe, which both reached No.1 in the albums charts, recieved two Classic Brit Awards and over a million album sales. Today’s chart position and reaction from the public is a true testament to Michael Ball’s prowess as a singer and song-writer, and the unfailing dedication of his fans. Next, Michael embarks upon a staggering 23-date UK tour in April and May of this year, keeping his legions of followers happy with his exceptional, feel-good live shows. 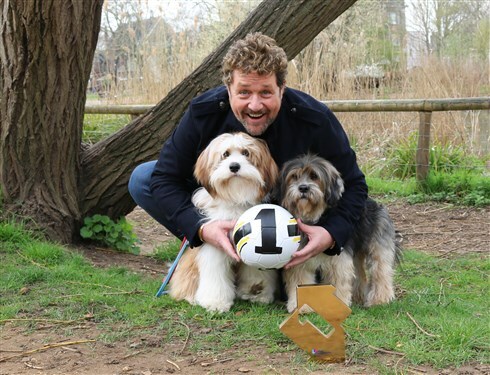 Michael Ball visits York Barbican on Sunday 21st April 2019, click here to book your tickets today!